Stayed Bottle beach bungalow 2, but changed to Smile. Was cheaper, better room and beach is better that side. West side has fewer jellyfish in sea and water is cleaner. Better to eat at bottle beach 1 A’s has better food. Just be sure to book the correct bungalow as they really range. If you’re looking for a place with a quiet beach, secluded from the hub bub of the world, this place is perfect. 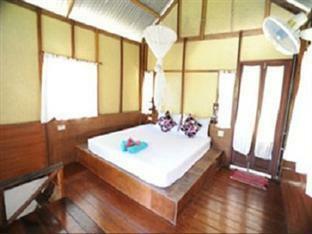 Bottle beach only have a few bungalow guest houses, Smile Bungalows being one of them. I enjoyed my stay with them. 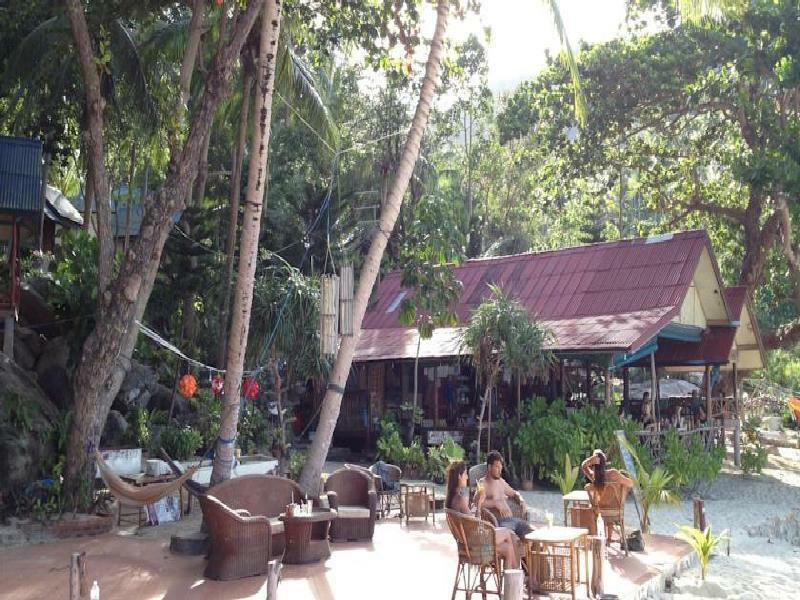 I had my own bamboo bungalow on top of a hill where I could see the beautiful ocean through the trees. It’s bare minimal a which was fine for me, but not everyone’s preference. It’s a room with a bed, a mosquito net, and a fan. One ledge to put stuff on, no cabinets or shelves. The bathroom was clean and interesting design with shells and rocks placed in stucco. No water heater for the shower(but it’s so warm, the cool water is refreshing). I got a porch with my own hammock (favorite place to read) and two chairs and a table outside. The staff is very friendly and accommodating. They have a delicious restaurant and bar with reasonable prices. A few times a week they do a BBQ and fire show on the sand. I would stay there again. An absolute gem!! Only supposed to stay here for 3 nights and ended up staying a week! Only about 4 or 5 other resorts on this beautiful secluded beach so it was really great. You cant get down to the resort without a 4x4 so taxis/mopeds are no use. However they can collect you from the pier, bring and collect you from full moon and bring you back to the pier for a fee, just email them. Definitely recommend this place; its very basic but its paradise! Restaurant a bit expensive and inconsistent. One day a dish would be awesome, the next day, the same dish would be lacklustre. 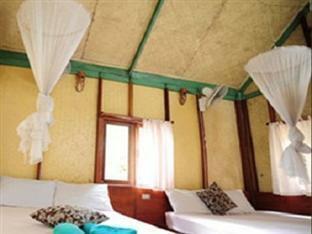 Adorable, simple bungalows, friendly smiley staff. Gorgeous, relatively empty beach, especially when day trippers leave. Relaxing, quiet, beautiful. Don't come if you're looking for lots of amenities or action. We stayed in the 2 story bungalows with fan. The bedroom was upstairs and the bathroom was downstairs by way of a very steep staircase. Very clean and comfortable. Spacious bedroom and bathroom. The location was not as good as others for the same price- or cheaper- right on the beach. To get to the 2 story bungalows, you must go up a big hill and it is not right on the beach. Food at their restaurant was good but slow. If you don't mind the hike up the hill and would prefer to be not on the beach, then these bungalows are perfect. Our stay was lovely! Our room was basic but clean but the holiday was so enjoyable because of the amazing and friendly staff at smile! I would love to go again! Thank you for finishing off an amazing holiday! We will never forget you! We staed 10 nights in three bungalows. The one with two storeys is very beutifull. In the back but not to far. The bungalows near the sea are basic but...near the sea. The kitchen is nothing to write home about but fair enough. The reataurant location is great and athmospheric. The rooms are good enough and the location is great. Quiet place only to reach by boat . Fabulous location , helpful staff , lovely bar and food. we had a short stay at bottle beach , first time we have stayed there. Would happily come back. We have been here before and it was a good place but now....definitely a place for parents and their children but not for people who looking for quietness and relaxation. The restaurant is a playground for toddlers. Never ever again. Its an ok place for what you pay. Although i think the economy and small bungalow are exactly the same, since i booked economy and got put in the smallest one. and the pictures of the bathroom were totally different then what i got. i booked a big one, got one with a shower over the toilet. Food and atmosphere can be great or terrible, depending on the mood of the staff. All good people for sure but can be cranky from time to time. I was travelling with a small child so i can also imagine we were annoying sometimes; loud and running around kids...so take that into consideration. Restaurant has an fly problem that can drive you bit crazy eating there, they are literally everywhere and sitting on everything you dont touch for 30 sec. you can ask yourself what the deal is with the hygiene.. internet and power are not always working. Even though there were a few cons, we had a great time. Next time i probably will find another place on bottle beach and pay a bit more. I loved every minute of my three nights there! 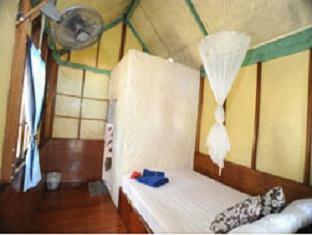 The bungalows are set in a peaceful natural atmosphere, literally on the beach. Comfy beds, mosquito nets, no A/C but fan was enough, hammock on the porch to enjoy tranquillity. The restaurant is a bit expensive but food is great. Avarage cleaning, kind staff, the bay itself and the surrounding are just amazing! Wi-fi is ok, although they turn off the power in the afternoon to recharge the generators. You can get there by long tail boats from Chaloklum or by 4x4 car trough the jungle (it takes more than one hour). If you're looking for a party place don't stay there, but if peace is what you're seeking you've found your spot!